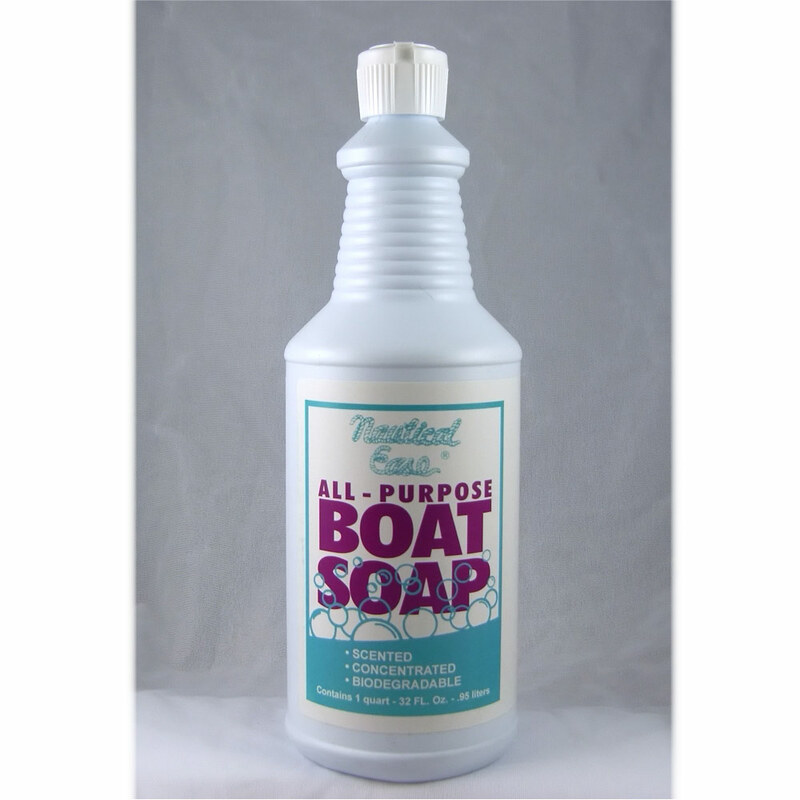 Ideal product for removing algae from pontoon tubes and brightening dark oxidized NON-PAINTED aluminum. 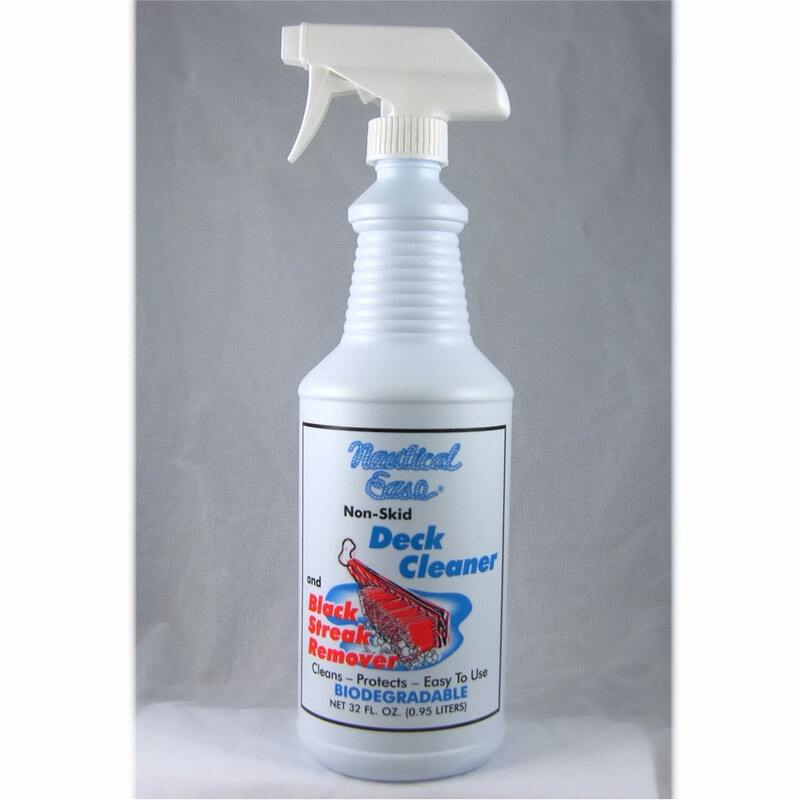 NAUTICAL EASE ALUMINUM CLEANER is the ideal product for removing algae from pontoon tubes and brightening dark oxidized NON-PAINTED aluminum. Bottom halves of pontoon tubes that are left in the water become encrusted with calcium and other minerals. The PROPER mix of detergents and acids are necessary to remove the algae and also to eliminate the oxidized look of the upper half of the tubes that can range from the gray look to almost black. Adjust nozzle on trigger sprayer to an even mist spray and starting from the BOTTOM up towards the top, coat aluminum with an even mist. As the product starts to run down, respray any gaps or areas not covered. This is necessary to avoid streaking. 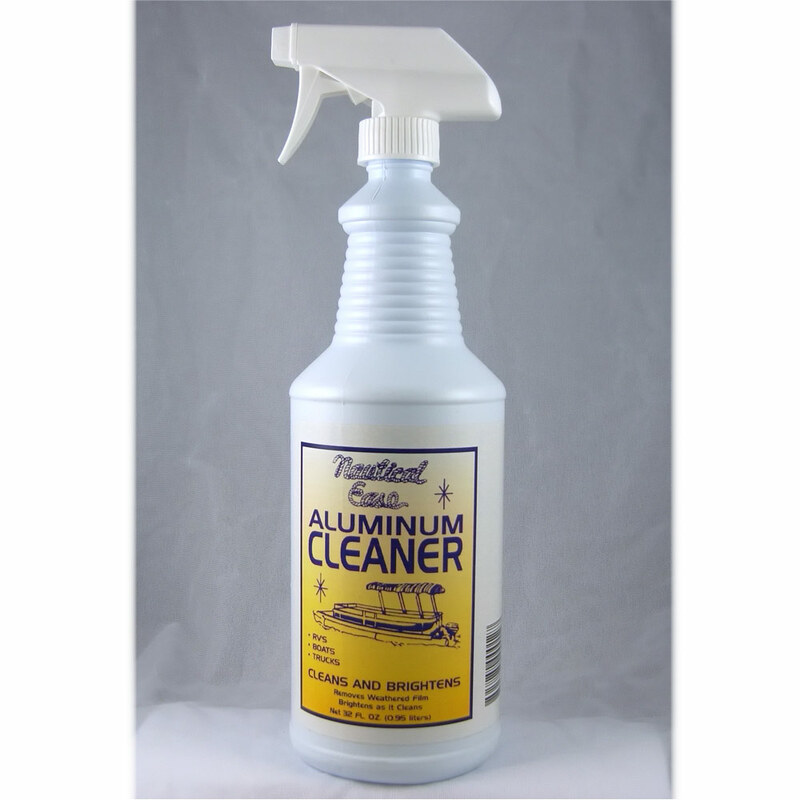 The Aluminum Cleaner will start to foam in a matter of seconds and stop within several minutes. NO SCRUBBING necessary on plain oxidized aluminum but for algae removal brushing may be necessary, especially if more than one application is necessary. 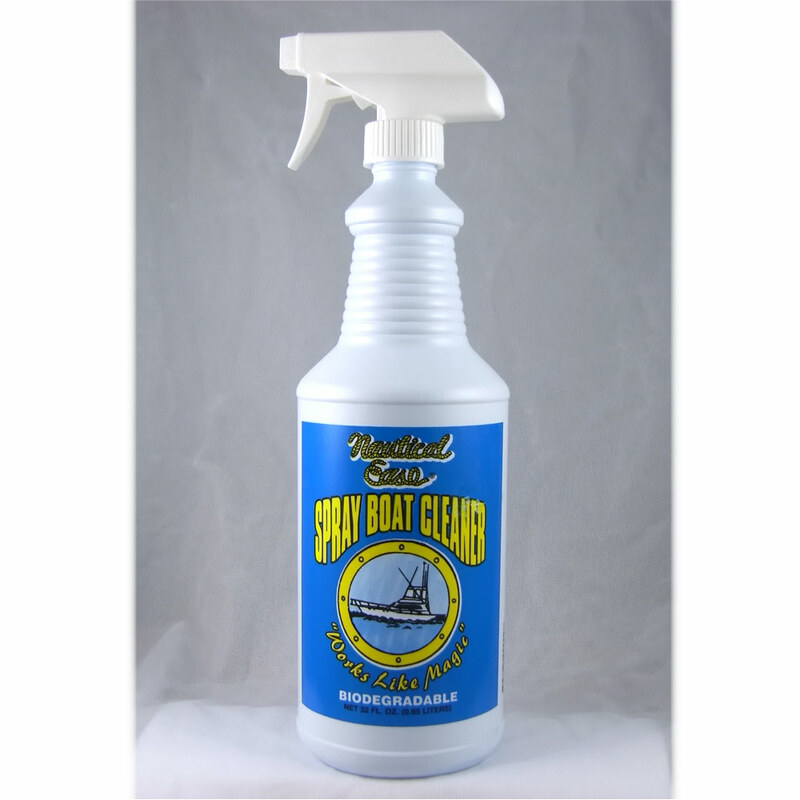 Aluminum cleaned with NAUTICAL EASE ALUMINUM CLEANER will not return to original shiny finish as when new but may look silver to whitish color. If entire bottle is not used, when finished remove sprayer and pump clear water through it.